As we use more and more data every year, where will we have room to store it all? Our rapidly increasing demand for web apps, file sharing and social networking, among other services, relies on information storage in the "cloud" – always-on Internet-connected remote servers that store, manage and process data. This in turn has led to a pressing need for faster, smaller and more energy-efficient devices to perform those cloud tasks. I work to control electrons' spins using extremely short laser pulses – one quadrillionth of a second in duration, or one "femtosecond." Beyond just enabling smaller storage, lasers allow dramatically faster storage and retrieval of data. The speed comparison between today's technology and femtosecond spintronics is like comparing the fastest bullet train on Earth to the speed of light. 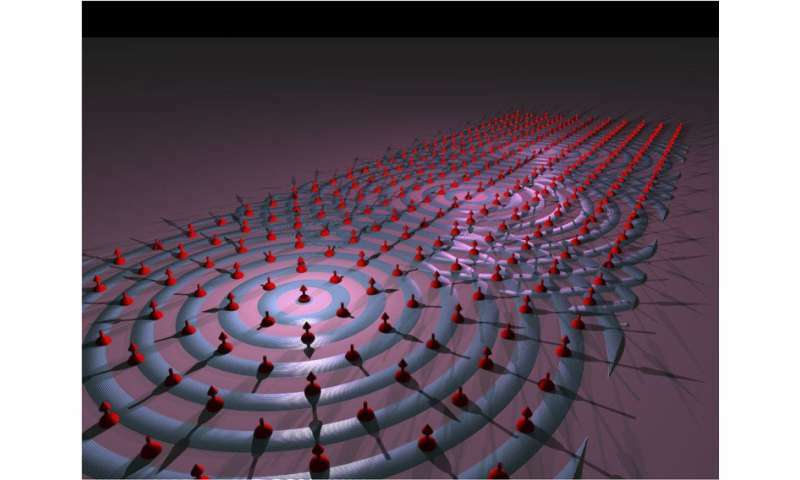 A decade ago, studies first demonstrated that laser pulses could control electron spins to write data and could monitor the spins to read stored data. Doing this involved measuring tiny oscillations in the electrons' magnetization. 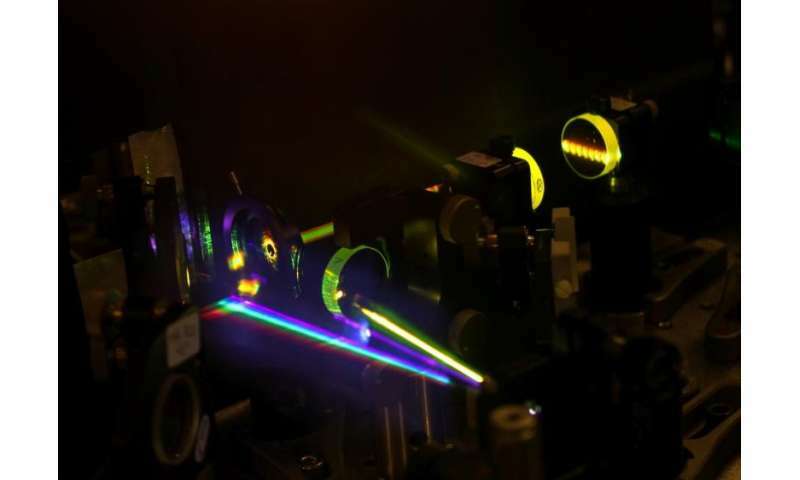 After those early investigations, researchers believed – wrongly, as it turned out – that lasers could not affect or detect fluctuations smaller than the wavelength of the lasers' own light. If this were true, it would not be possible to control magnets on a scale as short as one nanometer (one millionth of a millimeter) in as little time as a femtosecond. This suggests that future devices may be able to work with processing speeds as fast as 22 THz – 1,000 times faster than today's GHz clock speeds in commercial computers. And devices could be far smaller, too. Innovative science begins with a vision: a scientist is a dreamer who is able to imagine phenomena not observed yet. The scientific community involved in the research area of ultrafast magnetism is working on a big leap forward. It would be a development that doesn't mean just faster laptops but always-on, connected computing that is significantly faster, smaller and cheaper than today's systems. In addition, the storage mechanisms won't generate as much heat, requiring far less cooling of data centers – which is a significant cost both financially and environmentally. Achieving those new capabilities requires us to push the frontier of fundamental knowledge even farther, and paves the way to technologies we cannot yet imagine. Very interesting stuff here; particularly the odd effects of these femtosecond laser pulses on magnetism. I checked this guy's recent publication history out and he's working with a lot of interesting stuff in optomagnetics. Quite a lot of interesting study here, and maybe some views into spintronics as well; it's worth noting that the effects this guy is researching are spin-related. Very interesting indeed.